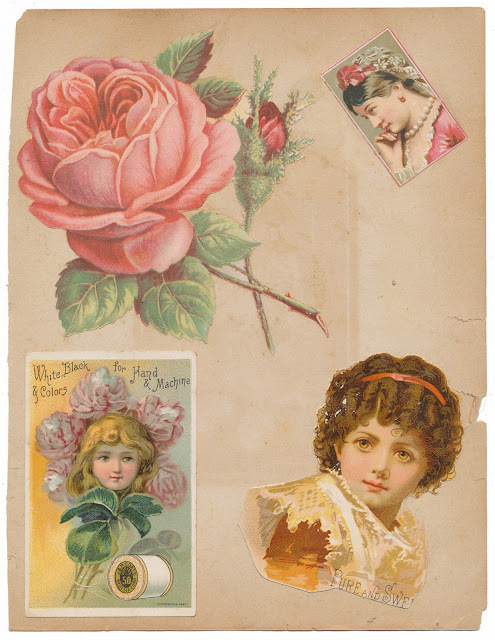 Four trade card illustrations, pasted down on a scrap of paper. Likely came from an old scrapbook. Found at the bottom of a box of old encyclopedias that was donated last week.